← Writerzblox.net’s March 2012 Monthly Newsletter! Thank you for reviewing My Mirror Self, and I, Rich. I’m pleased that it resonated with you, and I like your analogy of literary fiction as a mirror for life: it was exactly the sort of ‘feel’ I was aiming for with this story (with some inevitable concessions as it is a work of fiction). It covers some extremely emotive topics, and I hope I did them justice. I have only admiration and respect for anyone who has had to face either cancer or depression, and has managed to press on regardless. A great review. Congrats T and thanks for the recommendation Rich. 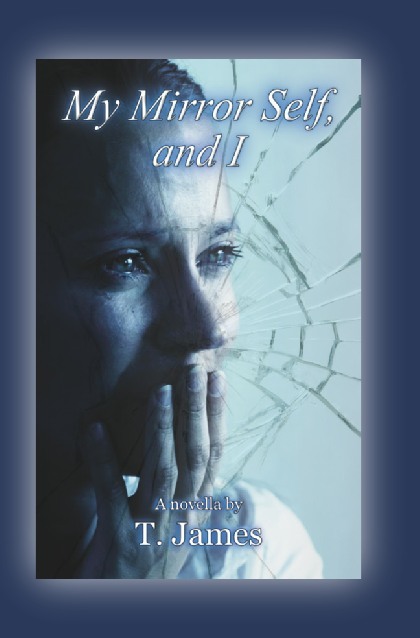 I’m posting a copy of my first blog review of My Mirror Self, and I. Please take the time to head over to Rich Weatherly’s blog to leave any comments, and to have a look around. Rich is talented writer and poet in his own right. Another wonderful review Rich! T.James debut work will be a resounding success. He deals with a difficult subject with sensitivity and insight. I think readers of literary fiction will follow his work for many years. Thanks Sandy, there isn’t much I can add to your comments. I agree completely. T.James ventured into the realm of literary fiction and he didn’t disappoint. Congratulations on the great review, TJ.